Gyen Kalsang Wangdu lak from Head Office has come to our school to give talk on teacher’s professional development. This program was sponsored by Tibet Fund in collaboration with Department of Education (DoE) to bring about changes and development in the field of academic education. 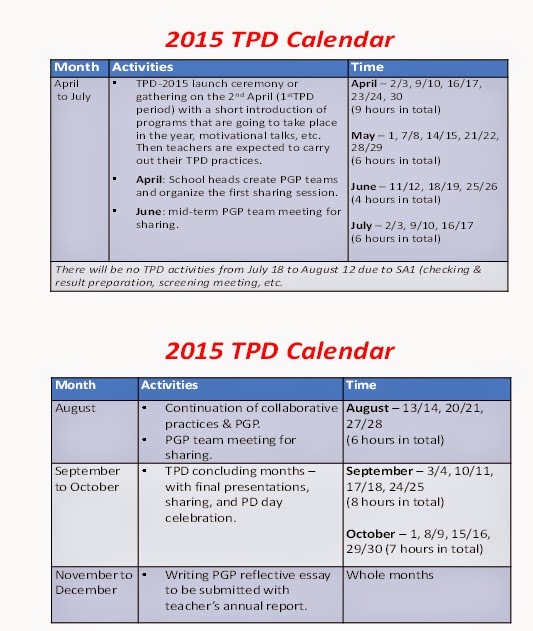 Based on last year’s PGP and TPD, Mr. Wangdu made some recommendations such as ‘Rethinking approaches to TPD in the following indicators; teacher as the pivot of the education system, paradigm shift – locating agencies and resources within the teaching community, and learning based on constructivism, contextualization, self directed, experiential and hands-on. Regarding Lesson Study he said that at least 5 hrs should be spent on planning to achieve higher goals – HOTS, asked the teachers to have documentation of soft copies of initial discussion, Lesson Plan, Observation notes, Feedback summary, Revised LP and Teaching aids used, etc. Genlak, told teachers doing Lesson Study to have complete one lesson study cycle well (Plan, Enact, Reflect and Redesign, Reenact, Summarize). 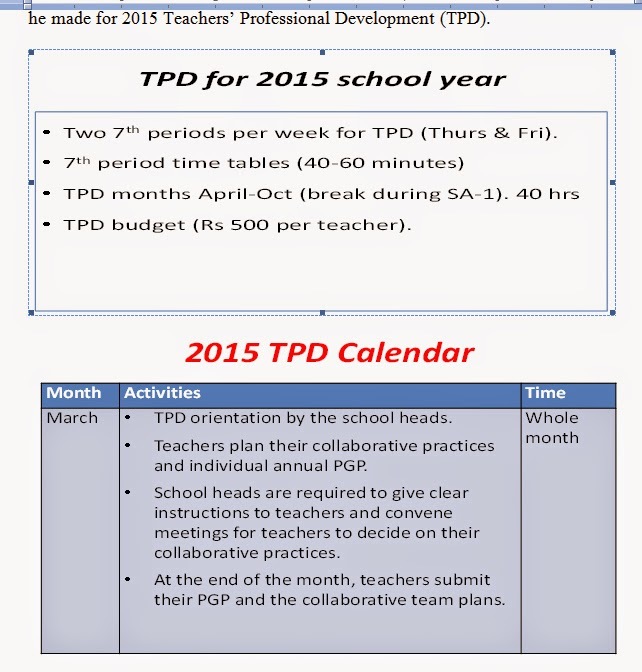 Gen. Kalsang Wangdu urged the school administrators to follow the time table that he made for 2015 Teachers’ Professional Development (TPD).